Well this is as stupid as [REDACTED]. The Gilbert Public Schools Governing Board in Arizona became displeased with a section in a high school biology book that described how an abortion-inducing drug works after complaints from a Christian law organization called Freedom, so they advised school officials to redact it with extreme prejudice. I can’t wait until someone goes full-on Fahrenheit 451 on it. Dear honors biology students of Gilbert, Arizona, I now address you directly. You may soon find yourself holding a biology textbook with a hole where some true facts used to be. Don’t despair. 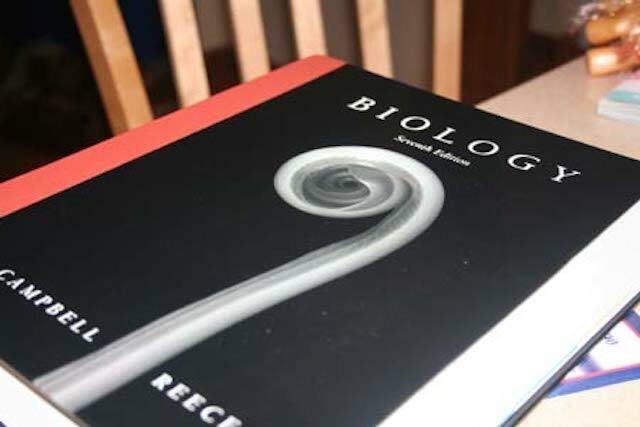 We here at ‘The Rachel Maddow Show’ have preserved the part of your biology textbook that the crusading religious group and the Republican State Senators and the conservative majority on your school board no longer wants to allow you to see. We’re going to keep it posted for you in perpetuity at arizonahonorsbiology.com. Which we bought today so that we could post the page that they’re cutting out of your textbook. You can get it there. The drug in question, Mifepristone, can terminate a pregnancy up to the 7-week mark, is by prescription only, requires several visits to a doctor, and may cause significant side effects as explained in the textbook. How informing students of those not-altogether-reassuring facts doesn’t fit with the state law that all school materials and discussions give “preference, encouragement and support to childbirth and adoption as preferred options to elective abortion,” I’m unsure. Maybe I missed the diagram of young girls dancing gleefully with giant cartoon abortion pills and only happened to see the part that simply explains medical facts? And the part about the drug is just one paragraph on the double-sided page about contraceptive methods and how fertilization works, which might be something you’d want teenagers to learn about if you were really so uncomfortable with the ramifications of unwanted pregnancy.